Measurements: These measure 20mm Tall x 9mm Wall x 13mm deep. 23mm Tall with Loop. 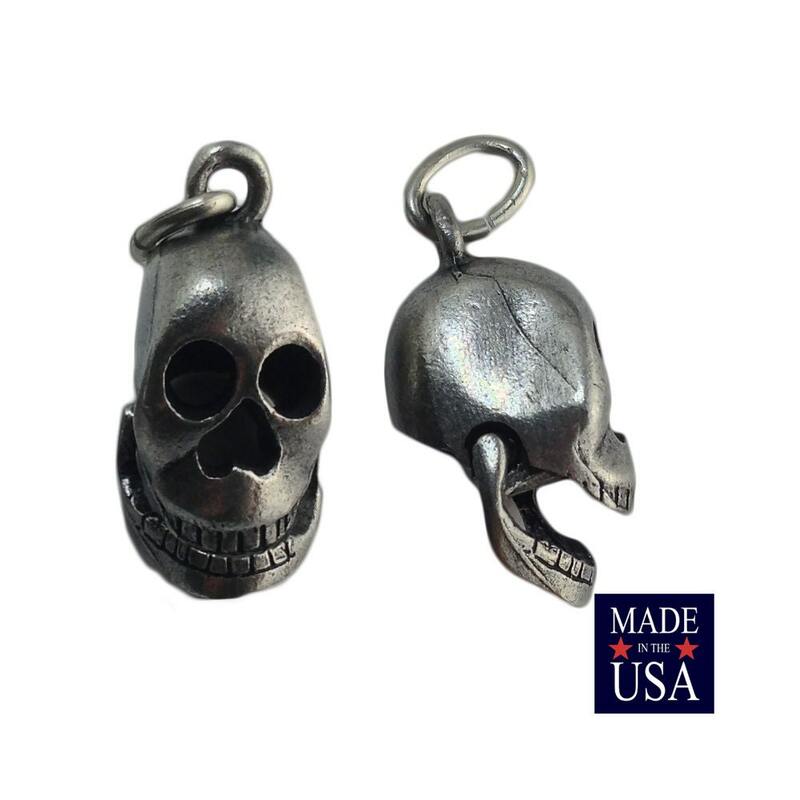 Characteristics: These Skulls have articulate jaws that dangles when hanging. I love these and will probably have to buy more! Great transaction! Seller very much recommended.